- to (D) the wrist or point at which you prefer the cuff to end. Keep measuring tape horizontal, wrap around the biggest girth of the chest, keeping the measuring tape up and close to the arm pits. Measure along the natural contour of the neck, holding the tape measure comfortably against the skin. At the level of the chest, measurement the circumference around the torso & both arms. With arms relaxed at the sides, wrap around the biggest part of the chest & around both arms. Measure from the bony protrusion at the back of the base of the neck, straight down the middle of the back, to the level of the knuckles of both hands (resting at the side of the body). Measure from the midpoint on top of the shoulder, vertically down the front of the body, to the waist line (level of belly button). 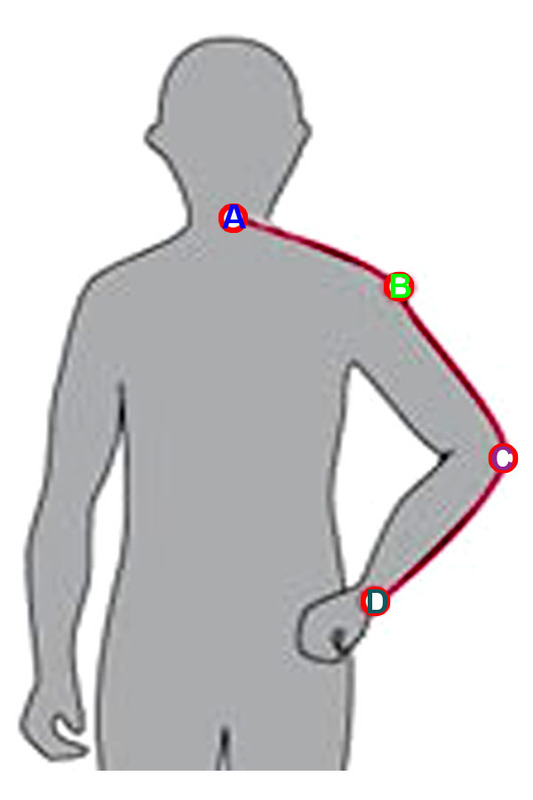 Measure from the tip of one shoulder, horizontally across the back, to the tip of the other shoulder. 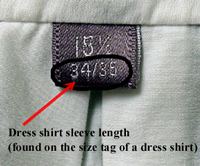 Keep measuring tape horizontal, wrap around the level of the belly button.